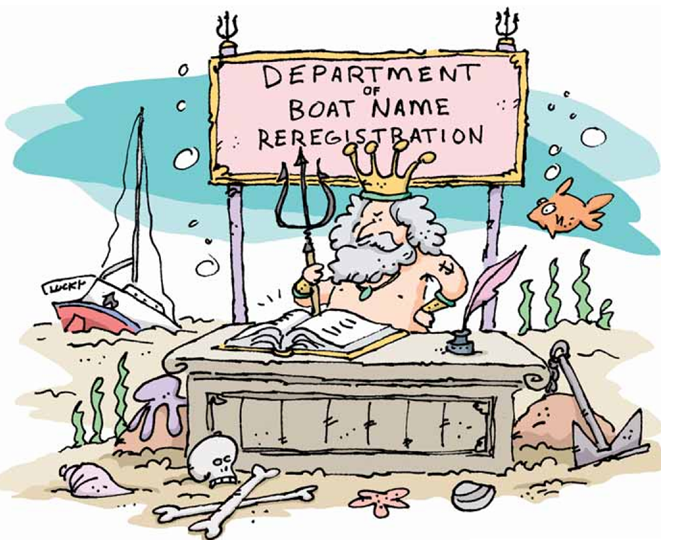 Boaters are a superstitious lot and Renaming your boat causes the greatest area for concern! The list of dos and don’ts stretches for many nautical miles. Superstition governs when to leave on a trip. What to bring onboard. And what sounds are good to hear when at sea. However, nothing is as rich in superstition as naming and renaming your boat. For centuries, boat christenings have played an important and vital tradition in protecting ships and their crew from harm’s way. Once a boat had been built and it was time to venture out, sailors would call upon the deities of the sea to protect them from bad weather, sea monsters or other evils that lay in the path of the approaching journey. Elaborate rituals, passed down from sailor to sailor, were performed to appease these gods – Poseidon for the Greeks and Neptune for the Romans. Departing from these ceremonies meant angering the deities and facing their wrath. If the boat christening was not performed properly, it was believed your boat would be cursed. According to this folklore, after the boat is christened, the name of the boat is recorded in “The Ledger of the Deep” and is personally known to Poseidon and Neptune. This is what protected the ship from any pending disaster while at sea. The boat’s Christened name was its salvation. The Ledger of the Deep is not to be taken lightly. Ancient mariners whole-heartedly believed that to set off to sea on a ship whose name had been changed, spelt disaster. So, not only do you have to name your boat properly, it is also bad luck to change the name at a future point in time. Tim and I needed to take all of this into account when we bought our new boat and wanted to rename her and make her our own. So, what do you do if you want to rename your boat, but you don’t want to anger the god of the sea? It’s simple really. To rename a boat, all you need to do is break the ties to Poseidon and create new ones. But how do you do that? How, after finding the ideal vessel, with the imperfect name, do you go about making her your own? All is not lost. Poseidon may be a god, but he can be influenced. Ceremonies have been created to ward off any potential consequences that may arise from choosing a new moniker. Some of the ceremonies are elaborate and some less so. Feel free to choose the one that best suits your level of comfort. However, regardless of what you choose, from the research I have done, there is one key step that must be undertaken before a new name can be bestowed. You must remove all references to the previous name. Log book? Gone. Maintenance records? See you later. Fancy personalized crew gear? Out they go. Life ring? Get that name off. Remove all traces from the boat or the ceremony is null and void. Just to make sure that renaming our boat was not an obscure thought, I called Eric Eide at Jensen Signs – a Lower Mainland company that specializes in creating hand painted and vinyl signs. They have put names on boats ranging from small dinghies, to different sized pleasure-crafts to BC Ferries. Eric assured me I was not alone in my quest to rename my boat. There are other factors beside superstition to take into consideration, especially when considering the name of your boat. When cruising, your boat’s name becomes your identifier. Cruisers will say, “Let’s have the crew from Passing Wind over for drinks.” Do you really want to be known by that name? Is your boat’s name recognizable on the VHF or does it sound garbled when repeated three times. “Te Arawa, Te Arawa Te Arawa” is hard to recognize. And lastly, don’t choose a name that is considered bad luck. Stay away from names like “Titanic”, “Hurricane Runner”, or “Sea Conqueror”. Don’t challenge the sea: you’re just asking for trouble. And, for heaven’s sake, try to avoid names that rhyme with “mayday” or “pan pan”. 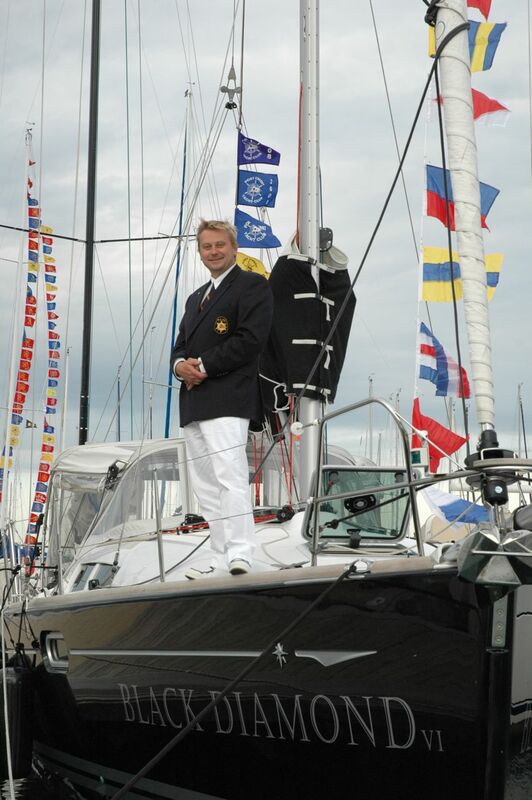 There are as many superstitions surrounding the naming of your boat as there are boat names. While I may not be a superstitious person in my everyday life, I don’t think I am going to take a chance when out cruising on the ocean. Tim and I did choose a new name for our boat. It doesn’t end in an A, it’s not named after a storm, and it doesn’t call forth the monsters of the deep. We will perform a boat renaming ceremony and you better believe we will be pouring copious amounts of champagne (and rum!) for both Poseidon and our friends. 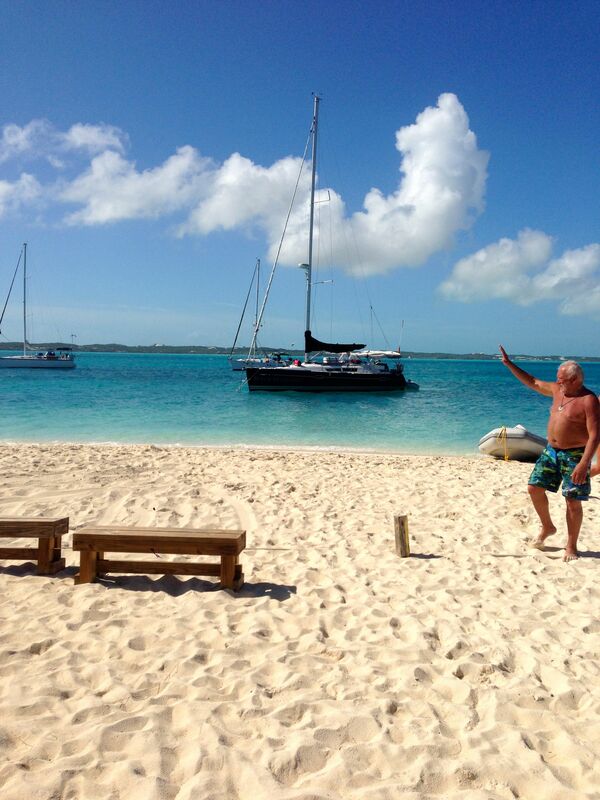 Next story Black Diamond Departs for the Bahamas!